There is an unequivocal evidence of warming of Earth’s surface on global scale. The primary agent that has led to this warming is the monotonic increase in carbon dioxide during the past 100 years. The contribution of India to this increase in carbon dioxide is small (less than 5%). Hence any policy changes undertaken by India will not have much impact on global warming in the short term (i.e., decades). The path India adopts for generation of electricity will be crucial in the long term (i.e., century) efforts to reduce carbon dioxide by the global community. The impact of climate change on extreme weather events (heat waves, floods, droughts) in India is evident clearly. Regional climate change is not on account of increase in carbon dioxide alone. The large increase in aerosols and rapid urbanization in India have also contributed to regional climate change. India needs, however, to move away from the dependence on fossil fuels in order reduce local air pollution and to attain energy independence. 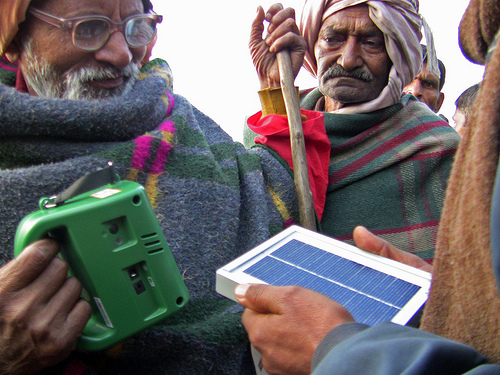 India needs to adopt renewable energy technologies rapidly. This has become feasible on account of rapid decrease in prices of photo-voltaic cells and higher reliability achieved by these technologies in the last decade. Solar and wind energy systems show high promise. Solar technologies were considered impractical till recently since they require large land areas. The increase in efficiencies of solar energy systems and novel forms of deployment can overcome these limitations. With this as the background abstract, the Nehru Memorial Museum and Library (NMML) invites all interested to a Public Lecture on ‘How should India deal with climate change? by eminent Professor J. Srinivasan of the Indian Institute of Science (IISc) Bangalore. Prof. J. Srinivasan received his B.Tech degree from Indian Institute of Technology, Madras and his Master’s degree from State University of New York. He has a Ph.D. from Stanford University and was a faculty in mechanical engineering in IIT, Kanpur from 1975-82. He joined the Indian Institute of Science in 1982. He is at present Chairman, Divecha Centre for Climate Change and Professor in Centre for Atmospheric and Oceanic Sciences. He was a Senior Resident Research Associate at NASA, Langley from 1993 to 1995. Prof. Srinivasan was lead author of the 2nd and 4th IPCC reports on Climate change and a review editor of 3rd IPCC report on Climate Change. He was the principal scientist of the Indo-French satellite mission Megha-Tropiques launched on 12th October 2011. He has published more than hundred research papers in thermal sciences, climate sciences and solar energy.